Now that you have started your web-design business, we are sure that it must have been a reasonably good journey – acquiring new clients, new projects, delightful challenges, innovative solutions, keeping up with the deadlines, carrying the lessons learnt from prior projects into new ones and so on. But we all know the market is crowded and it definitely isn’t easy to take your business to the next level. In this blogpost, we will look at how to go about scaling your business and most importantly stand out from the crowd. Finding your core domain or niche will mean that you consider yourself an industry expert and will make you more attractive to prospective clients. Their search for the said domain in which you are an expert will end with you. For instance, at HireIndianProgrammers we have dedicated PHP developers and WordPress developers who are experts in the corresponding areas. In the world of business, be it any format, one of the tried and tested ways of indirectly scaling your business is to provide unparalleled customer service. So, what qualifies as customer service in the Web Design business? Setting timelines and delivering projects within that, going the extra mile to keep your clients posted about the project status with quick-easy-tech solutions, accommodating client’s every requirement into the project as much as possible and so on. This will create a long lasting positive impression. In fact, the more adept you are in providing customer service, this will help in your marketing efforts organically – courtesy of positive word of mouth or testimonials. In our opinion, this is far more powerful than the default marketing. Now that you have identified your area of expertise, it will be useful to develop and design a workflow for your niche web development process. This will inevitably bring efficiency into your future projects because of the readily available templates for different routine works associated with the core domain. By focusing on your workflow, this will allow you to concentrate directly on the said project.In addition to this, you can also customise your back end operations – for starters you could provide a custom platform that reminds clients of your brand. For example, you can design a content collection or testimonial form with your business branding for your clients. There are several tools in the market including WordPress that provide plugins to help you with this. This is a crucial stage in your journey to scale your business. Hiring the right programmers – be it WordPress or PHP or any other core domain –for your team is of utmost importance. This is because this will define the success of your future projects. Also find innovative ways to stay connected at all times. Ensure that you are connected exclusive of outside clutter such as newsletters, social media notifications, automatic status reports etc; This will greatly enhance your team’s task management – share, communicate, set deadlines etc;Fret not, for there are several tools to cater to this need too. Finally, after having achieved all the above, you can develop a marketing campaign. This will certainly bring in new clients from elsewhere. What are some of the ways to market your business? With this, we come to the end of this post. 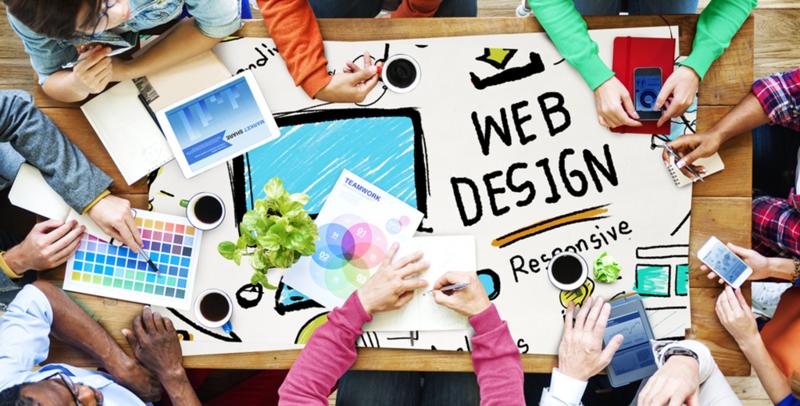 Hope you gained some insights on how to scale your web design business. It is important that you know that all the above will take time and you will begin to reap in benefits after a couple of projects. In fact, Scaling, like any other business effort is a constant activity. Patience is of the essence! HireIndianProgrammers, started as a software development company, has a team of experienced programmers and developers with a repertoire of domain skills. You can now hire a PHP or WordPress developer for your web design projects.